Now celebrating our 34th anniversary from the same convenient location at Treasure Island Marina on Thomas Drive – with beautiful Shell Island just 10 minutes away! Our professional, yet easy going attitude has helped make us a success and – most importantly – so have our valued repeat customers, who continue to support us. We have consistently offered the largest fleet of new boats and jet skis in the area. Executive luxury pontoon boats and 1st class experienced captains & customer service is our expertise. We invite you to discover why so many repeat customers continue to visit us year after year! Shell Island is a natural, undeveloped island which lies between the Gulf of Mexico and St. Andrews Bay in Bay County, Panama City Beach, Florida. The beautiful Shell Island Sand Dunes are about seven miles long and anywhere from a few hundred yards to a mile wide. Shell Island is home to one of the world’s highest concentrations of bottle-nosed dolphins. The island’s pristine beauty and abundant wildlife make it an enjoyable and exciting way to spend the day. It is filled with tremendous sand dunes, fresh water lakes & swamps, acres of woods and sugar-white sands & beaches. 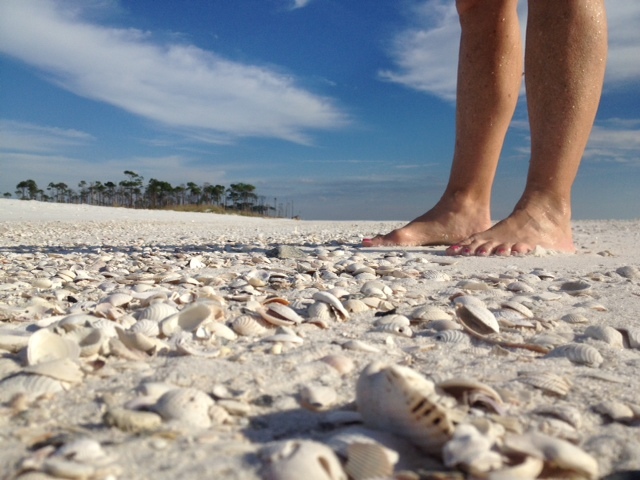 Shell Island offers excellent snorkeling, fishing, bird watching, shelling and secluded beaches. There are no facilities or concessions anywhere on Shell Island. Shell Island Boat Rentals And Tours is at the Treasure Island Marina at 3601 Thomas Drive. You’ll find us among the palm trees at the edge of the Grand Lagoon Bridge. Look for our hut in the Bahama white parking lot with yellow flags and umbrellas just off Thomas Drive, at the foot of the Grand Lagoon Bridge (behind the seafood market). 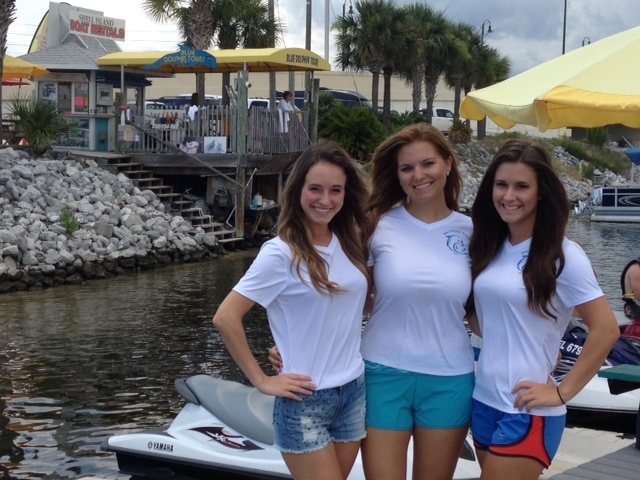 If you cannot locate us, please call (850) 234-SAIL (234-7245) for directions from your location! We are located just 19 miles east of Rosemary Beach, 29 miles from Grayton Beach, 39 miles from Sandestin, and 29 miles west of Mexico Beach.